KRP+ the ‘KIT’ concept includes output flange mounting and integral output pinion which are dedicated to rack & pinion applications. 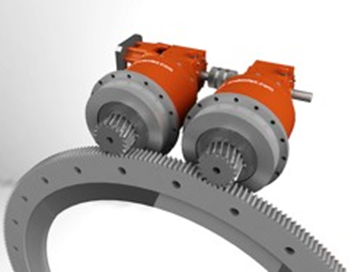 KRP+ planetary reducers are the SingleDRIVE components in a family of reducers dedicated to Rack & Pinion and Rotary Table drive applications. 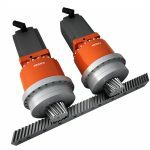 They can be used alone as a single drive or combined with a second unit to create a ZERO-BACKLASH linear or rotary Axis. 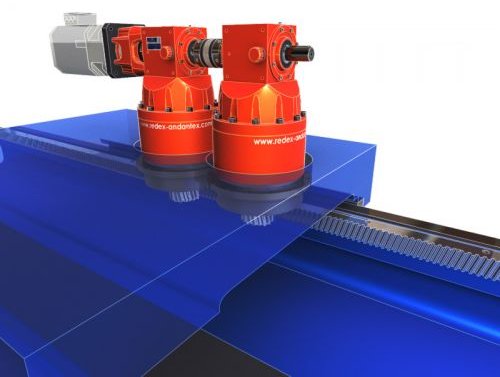 As A SingleDRIVE, the KRP+ features an integral output pinion and planetary gear train that have been optimized for minimum backlash (1 – 3 arc minutes) and maximum STIFFNESS ON RACK. 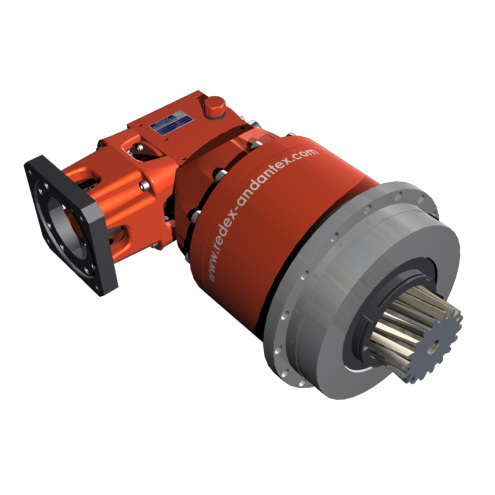 DualDRIVE kit combines two KRP+ reducers in a patented, mechanically preloaded ZERO-BACKLASH system. 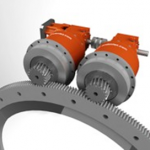 The two units are torsionally preloaded against the rack in this closed loop mechanical system. 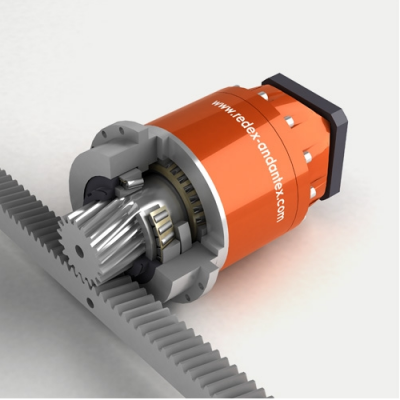 Only one motor is required to drive the axis. 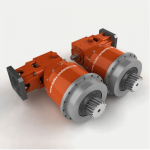 Two KRP+ reducers can also be combined together in an electrically preloaded TwinDRIVE kit. 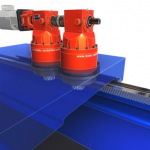 Backlash is eliminated using two motors, one to drive the axis and one to preload the axis.